The Peace Corps remains popular more than 40 years after President Jack Kennedy inspired Americans to serve their country overseas. Dozens of Peace Corps volunteers of all ages got together in Burlington Thursday night, including some recently returned from two-year service commitments and others who will soon depart. The Peace Corps has changed with the times, especially after the collapse of Soviet communism. "We're now in countries that were considered enemies of the U.S. when the Peace Corps was founded 40 years ago. That's an interesting change that's taken place. Our programs have also evolved as well. 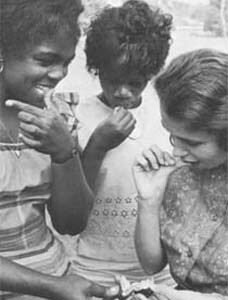 When Peace Corps began, most of our programs were in health, agriculture and education, and we still do a lot of that. But we also have now programs in information technology, businesses development and environmental education," explains New England Regional Peace Corps Director James Arena-DeRosa. 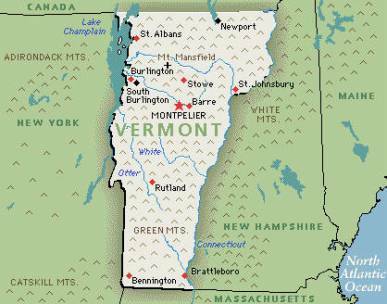 The Peace Corps says Vermont has the largest number of volunteers per capita in the country.